Once again, I have been blown away by another Makeup Revolution product. Everything that I have tried from them so far has been utterly fabulous and I still can’t get over the amazing quality, pigmentation and super affordable cost. I guess I should tell you what I have been loving most recently from them and that’s theMakeup Revolution Radiant Light powder in Glow. Radiant lights are illuminating baked powders that come in three shades; Breathe, Exhale and Glow which is the more bronze, almost golden, shade of the bunch. You can either buy them each singularly in a very generously sized compact like the one that I have here or you can buy all three shades in a palette here. Firstly, I adore the packaging. It is a shiny black compact that is very sturdy with a great sized mirror in the lid. I would have absolutely no worries taking this away with me on holiday in my makeup bag because it feels robust and securely closes. I’m always worried about taking makeup on holiday with me as my suitcase usually gets thrown around and I’d hate for anything to smash in my bag so having good quality packaging like this helps to alleviate that worry. The powder itself has a beautiful pattern embossed into it. I love the ring design and although it is ultimately the quality of the makeup on my face that matters, having something that is pretty to look at does make me smile when I’m doing my makeup each day. I think it encourages me to use a particular product when it is presented well. The way that the rings are embossed into the powder itself actually helps your brush to pick up the product evenly, I find at least. If you’re looking for something to bring a little bit of light to your face and illuminate your complexion then look no further than these powders. Simply swirl your brush around and then apply to wherever you want to bring light to your face. Glow, as well as the other Radiant Light powders, can be used as a highlight on the cupids bow, brow bone, down the centre of the nose and the high points of the cheek bones and it does work very well when used like this, as you can see in the photo above. 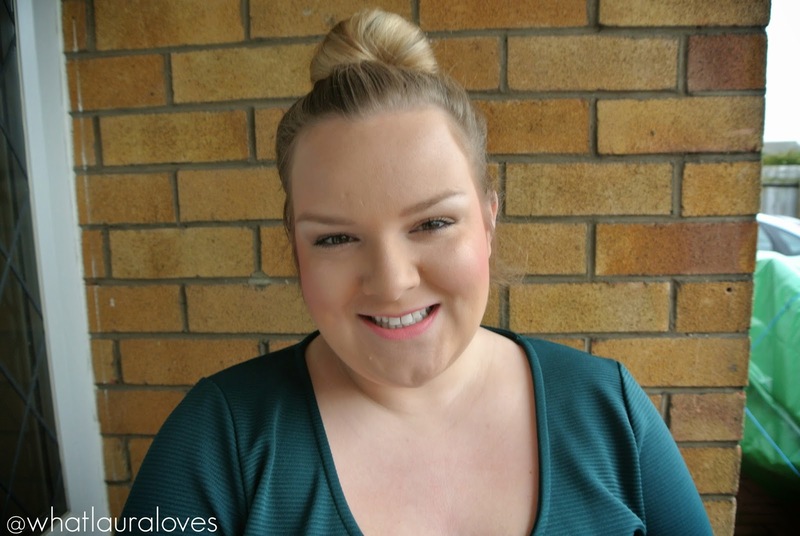 It lifts the face really well and adds a lovely illuminating glow to the skin. The beauty about these powders is that you can actually use them a little less specifically to bring instant light to your whole face, especially with a sun tan, or wherever you feel you need it. Glow has such a gorgeous gold bronze tone to it and as you can see, it is extremely well pigmented. The powder feels light weight and is finely milled so it blends effortlessly into the skin and sits really naturally on top of my other products. I really like how buildable the powder is as it can be worn as a very light highlight or built up for a stronger, even more pigmented and shimmery effect. You could even wear it as an eye shadow. So, to my beauty lovers out there, does this powder remind you of anything? 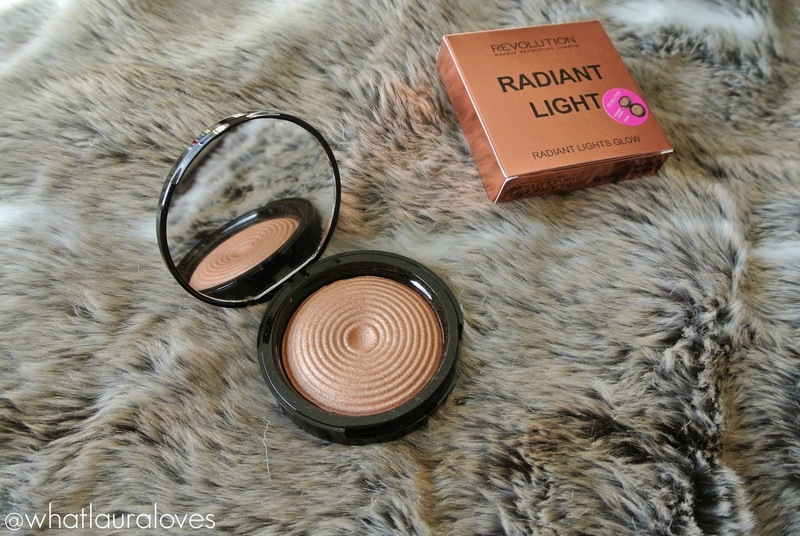 When I first saw Glow and the other Radiant Light powders, they did remind me a lot of the Hourglass Ambient Lighting Powders. Even the palette is very similar to the Hourglass Ambient Lighting Palette. 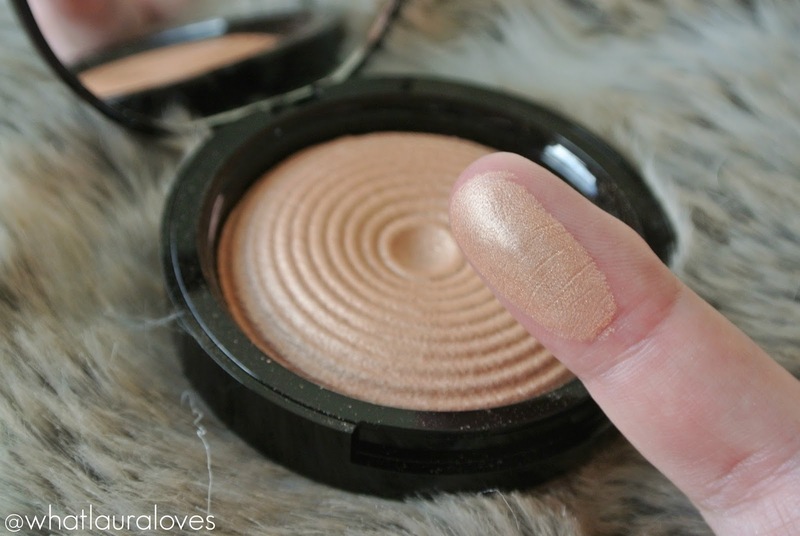 I would say that Glow mostly resembles the Radiant Light shade from Hourglass however Glow has more shimmer to it and in all honestly, I think I prefer it. 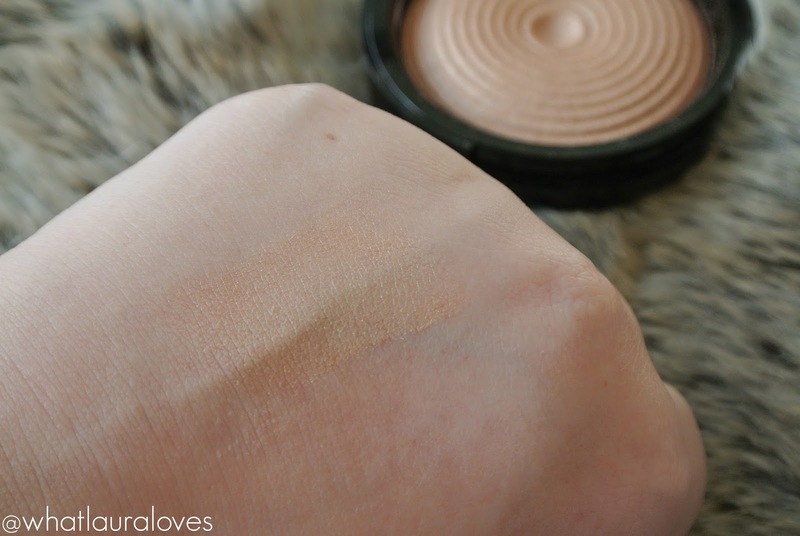 If you’re a lover of MAC products then I would liken Glow to the MAC Mineralize Skin Finish in Soft and Gentle. I have toyed with the idea of purchasing one of the Hourglass powders for about a year now but I’ve never parted with the £38 (or £56 for the palette) because I thought that they were a little over priced for the amount of use that I would get out of them as I don’t see them as an everyday product. 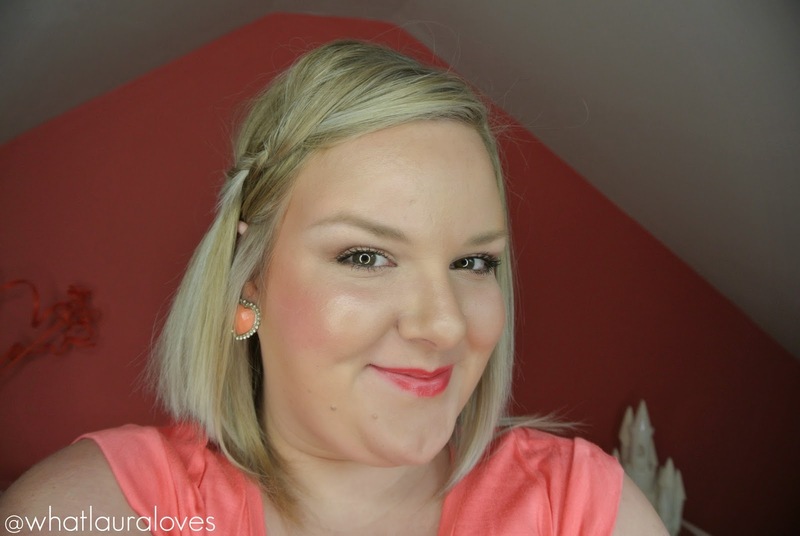 Whenever I create warm toned make up looks, I find myself reaching for Glow as my highlight and this is happening more and more as the spring weather is coming because that’s the time that I like to wear corals. The golden bronze glisten that the Radiant Light powder gives my face looks so pretty with coral make up looks. I can see myself using this product a lot, especially when I go on holiday as it will be lush with a natural tan. I find that this powder lasts all day on my skin so I can’t see that being any different when in a hotter climate. I’m absolutely loving this powder and would definitely recommend it to all of you! To buy the Radiant Light powder in Glow, head on over to the Makeup Revolution website or have a look online and in store at Superdrug. What are your favourite Makeup Revolution products? 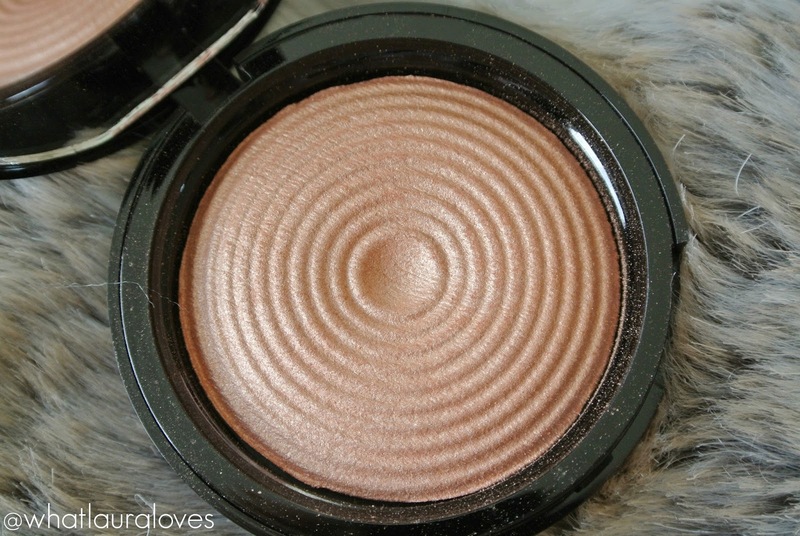 I'm stacking up quite the collection of bronzers and highlighters at the moment so I'm glad this has been brought to my attention – that's another one going on the list! I love MR products – they are just so amazing and this looks gorgeous on you! I've not tried Makeup Revolution yet but I'm hearing good things about it. The powder looks lovely, I like something to give me a nice glow! 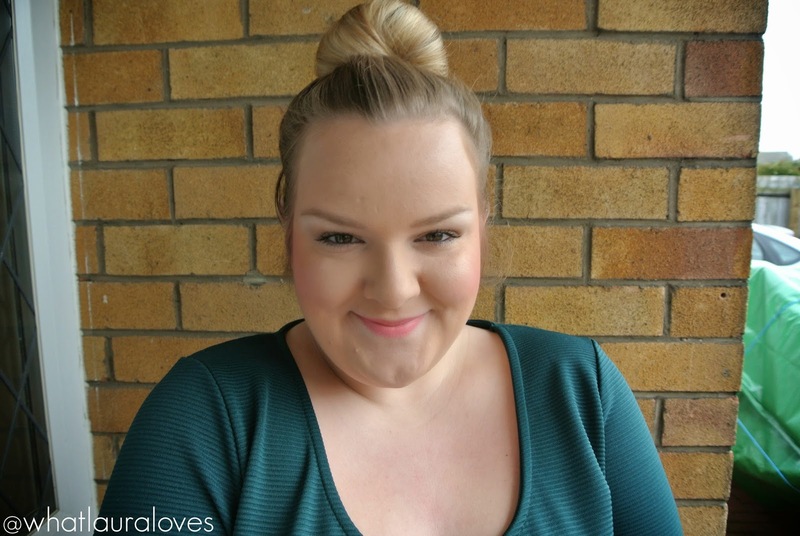 It's looks amazing on you!Jackie | Beauty Bundle Blog. I always hear amazing things about this brand, I wish I could find it in stores here in the US! You can really see the difference in the last photo.